investing.com — The British pound is recovering in early trade in Europe on Friday from a buffeting Thursday after the European Union agreed to only a minimal extension of the deadline for Brexit. At 04:00 AM ET (0800 GMT), the GBP/USD pair was at 1.3144, having fallen briefly below 1.31 on Thursday as the risk of a disorderly ‘no-deal’ Brexit rose. The euro has also recovered against the dollar to $1.1388, up from Thursday’s low of $1.1346. The dollar index, which measures the greenback against a basket of six major currencies, was at 95.722, down from a high of 96.088 on Thursday. That’s some 0.2% lower than it was before the Federal Reserve announced the results of its policy meeting on Wednesday. The EU gave the British Prime Minister a week to pass her twice-defeated Withdrawal Agreement through parliament. 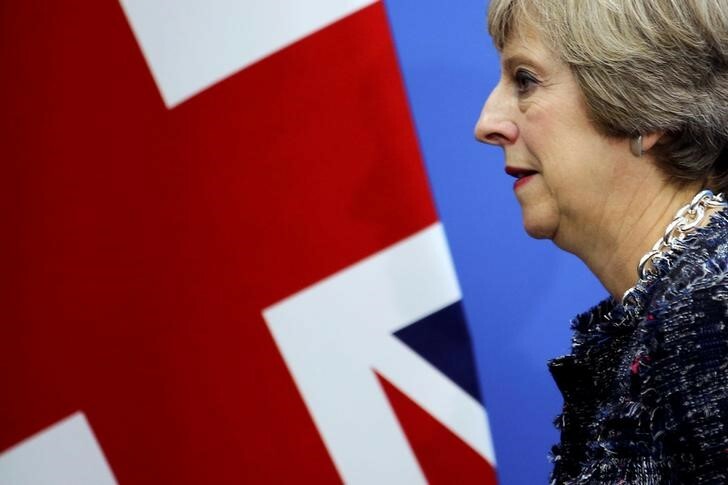 If she fails, and if the U.K. parliament fails to agree a different course of action that would persuade the EU to change its mind, Brexit will happen on April 12 without any legal transitional arrangements in place to guarantee trade and investment flows. The Brexit drama is likely to overshadow flash purchasing manager indexes that are due in the course of the European morning. A preliminary PMI for the euro zone is due at 05:00 AM ET (0900 GMT). Elsewhere Friday, Russia will round off a busy week of central bank meetings. Expectations are that the CBR will leave its key rate at 7.75%, although the strength of oil prices, and the Fed’s looser stance on U.S. monetary policy, may have created some space for a surprise cut. At 63.74 to the dollar, the ruble is at a seven-month high against the dollar, having risen over 3.2% against it this month alone.